Living a Fit and Full Life: Let the Grill Master Have a Day Off with Montgomery Inn's Summertime Barbecue Bonanza, Perfect for Labor Day! Let the Grill Master Have a Day Off with Montgomery Inn's Summertime Barbecue Bonanza, Perfect for Labor Day! Let the grill master have a day off with Montgomery Inn's Summertime Barbecue Bonanza, perfect for Labor Day! My husband loves to grill however with summer almost over and us living in Arizona, he's really become tired of having to grill in the heat. 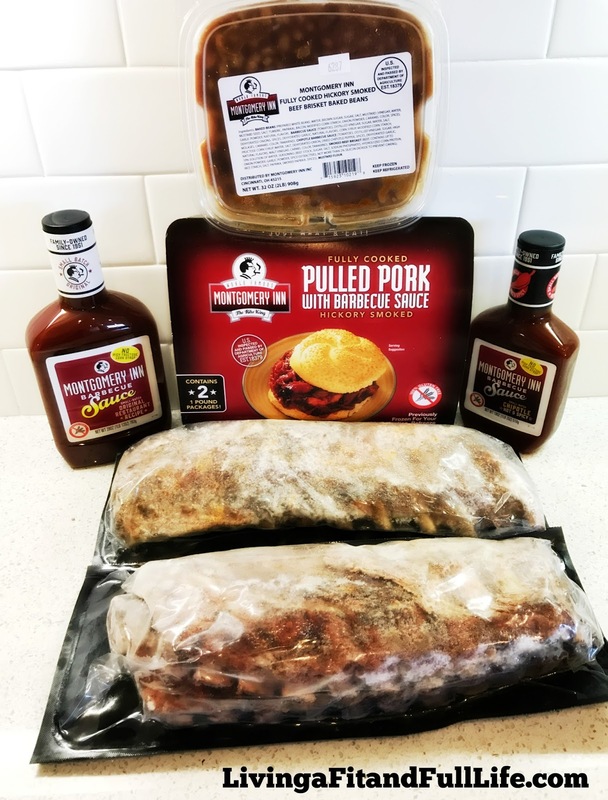 With Montgomery Inn's Summertime Barbecue Bonanza you get everything you need to have an awesome barbecue without the work. 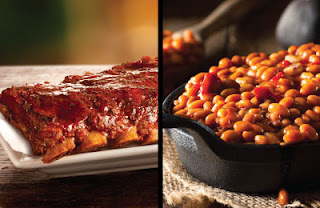 Montgomery Inn's Summertime Barbecue Bonanza comes with Four Slabs of Ribs, Two 2-pound tubs of Pulled Pork with buns, 2 lbs of Beans, 2 bottles of Barbecue sauce and wet naps. The ribs can be cooked in the oven so your lovely husband can avoid grilling in the heat or if you prefer you can finish them off on the grill. Everything tastes absolutely amazing and if you don't feel like telling guests you had a little help with meal prep, they'll never be the wiser as everything has a true barbecue flavor and tastes just like homemade! Montgomery Inn's Summertime Barbecue Bonanza is not only an amazing deal, but also an incredibly easy way to entertain! To take advantage of the Montgomery Inn Summertime Barbecue Bonanza, please visit montgomeryinn.com to order online. Or, phone in your order at 1-800-USA-RIBS. Click HERE to learn more about Montgomery Inn! Follow Montgomery Inn on social media!